It's neither false modesty, nor industry-speak. Good wine really does start in the field. And we're proud to say our grapes are grown by the best, in one of the best regions in the world. The beauty of the Columbia River Valley is dramatic. 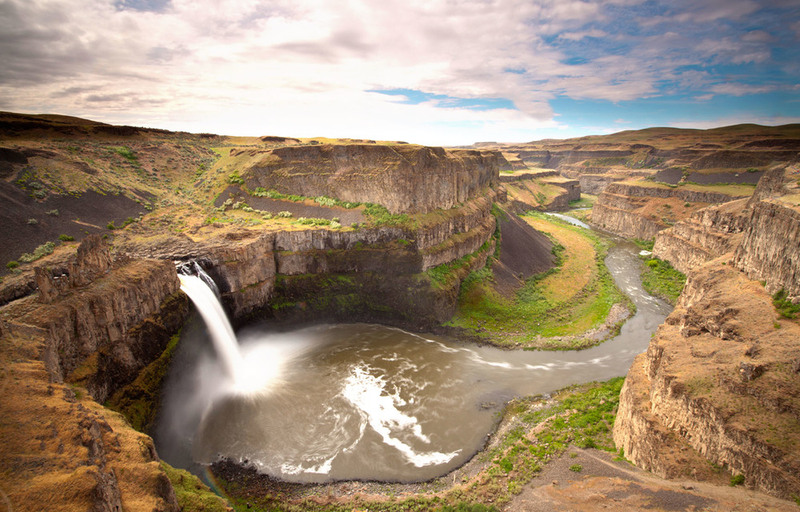 Deeply cut cliffs and rocky basin-floor lakes tell the story of the molten basalt flows and cataclysmic flooding that shaped the region over 14 million years ago. And for wine, this beauty has true purpose. 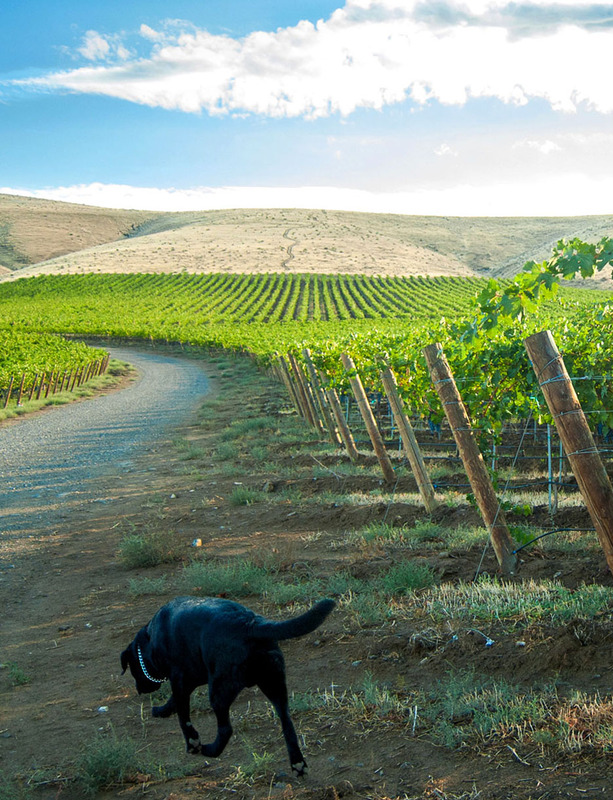 Volcanic soils, long, dry growing seasons, and the ability to finely control irrigation water produces grapes that are distinctive, balanced, and very, very drinkable. A successful vineyard is a delicate interbalance of surrender and control. We've been growing fruit for over 30 years, and are intimately familiar with the give and take of natural systems. The terroir has a personality, and doesn't respond to force. Yet macro conditions — ancient geologic events, intensity of light, and the variance between daytime and nighttime temperatures — are influenced and persuaded by human ingenuity on a micro level. We continually tap into this shared body of knowledge on how to best nurture vines, and allow grape varieties to fully express their true character. Farming is not for the faint of heart, and we have a deep respect for our grapes, and the people who cultivate them. Quite literally, we couldn't do it without you. Within food and restaurant culture, there is widespread emphasis on the importance of fresh, local, minimally processed ingredients. It's simple — food tastes better that way. 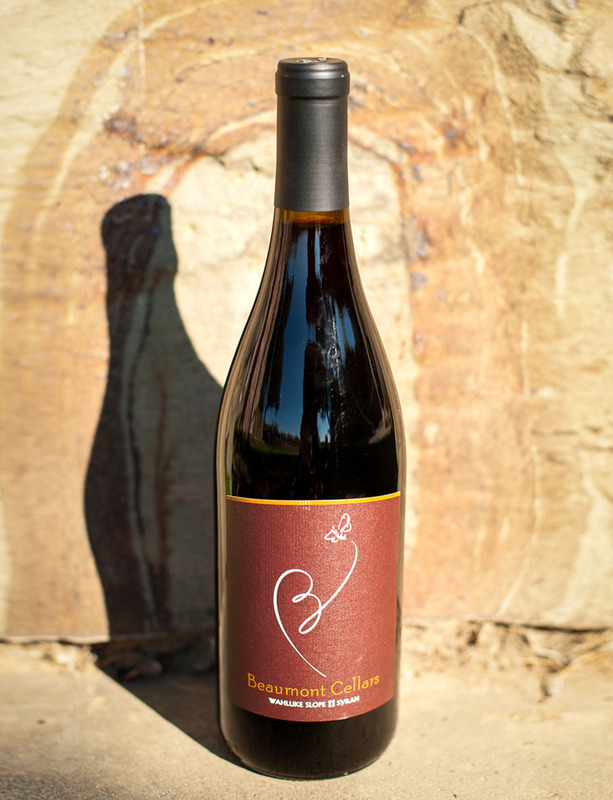 Beaumont's approach to winemaking is very similar. 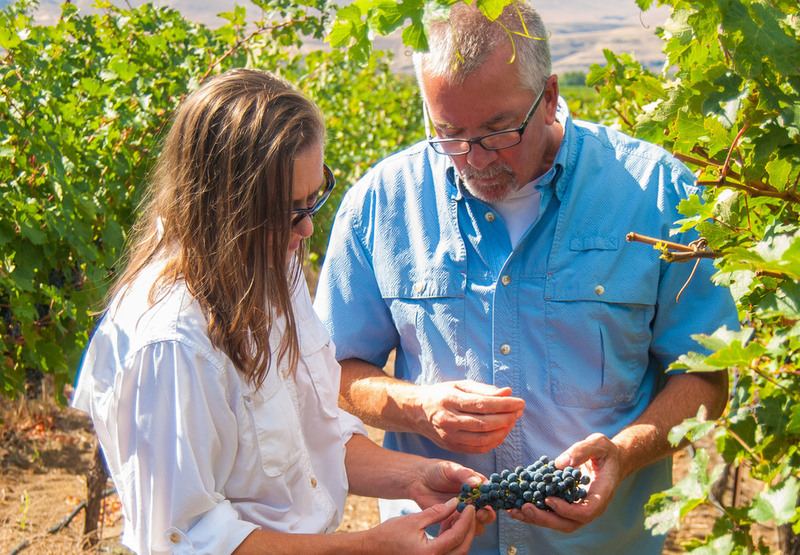 We work diligently to source the highest quality grapes, and have forged lasting relationships with Jones of Washington, Milbrandt Vineyards, and Shaw Vineyards because of their skill and meticulous growing practices. We've chosen to stay small, which allows us to stay in touch with our fruit. We regularly visit our grapes to monitor growth and sugar levels. Upon delivery to our Quincy winery, we select only the best fruit for processing, and begin our small-batch winemaking process. The way we see it, wine is food. Good chefs and winemakers know who the stars of the show really are — the raw ingredients, and how and where they are grown. Rather than impose our will upon the grape, our highest task is to encourage its inherent potential with minimal, skilled intervention. 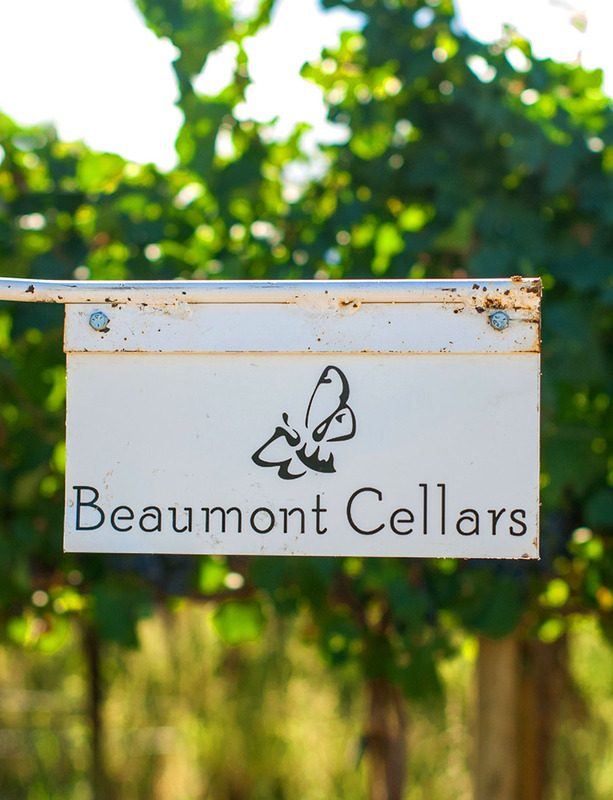 At Beaumont Cellars, we believe in our grapes, and we believe in letting them be.